Severe wind curtailment has been a known risk for years, but investors in solar were hoping that integration of PV would be easier, given lower penetration levels and a good match between resource and energy demand patterns. Last year, Azure started to warn that our models also predicted the emergence of PV curtailment in certain regions, which is now being confirmed on the ground. We advise investors to assess PV curtailment risk as part of normal due diligence, as curtailment is set to become the most significant factor in off-take risk for PV projects going forward. Completion rate: 100% − Prioritize new wind power project in next year. Completion rate: 70% to 80% − Reduce new wind power project in next year. Completion rate: <70% −Do not arrange new wind power project in next year. With more coal coming online, 28 provinces will go to red alert levels in 2019 with coal overproduction, and utilization hours decreasing, it is a welcomed sign that the NDRC and NEA are finally taking notice and beginning to place enforcement mechanisms on overgrowth of installed capacity. These red alerts include the lowering rate of return on investment, the rising reserve levels, pollution levels, water consumption levels, and coal transportation and consumption levels. The problem needs to shift to power generation asset utilization and grid stability. 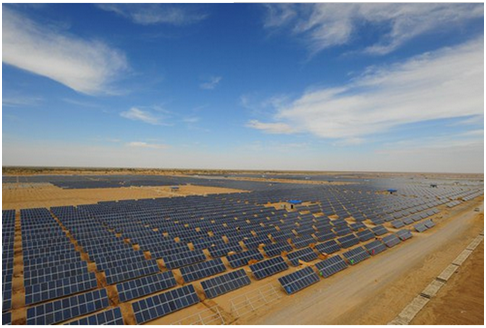 Assets of 200 million RMB or larger, electricity consumption has no limit.